Lead stars of tvN drama's "Misaeng", Im Siwan and Kang Sora are appointed as honorary ambassadors of Korea Traders Association today. 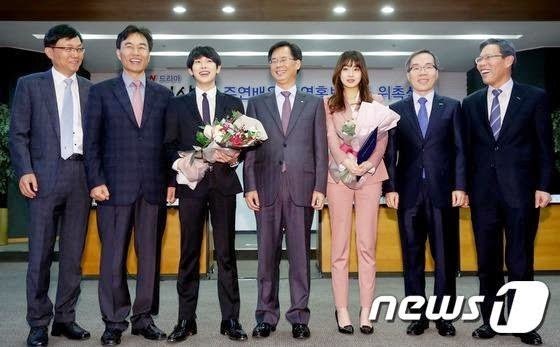 Siwan and Sora attended the ceremony at Trade Center, SamSeong-dong in Seoul and received their certificates. Siwan and Kang Sora are starring as office workers on tvN's Friday and Saturday drama 'Misaeng', which will have its last episode next week.